The Law Office of Kathryn M. Cockrill, LLC, was established to provide fair and honest representation to the families of the Lowcountry in all matters concerning estate planning, probate administration, trust administration, and guardianship and conservatorship matters. 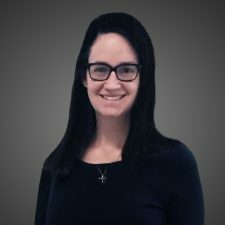 Kathryn Cockrill is committed to providing her clients and their loved ones with the highest quality of legal counseling, and ultimately peace of mind, while navigating complex legal matters involving estate planning, probate administrations and trust administrations. In addition, Kathryn works closely with the Charleston County Probate Court in her capacity as a court appointed Guardian ad Litem for incapacitated and vulnerable adults, and often times takes these appointments pro bono. At the request of numerous organizations, Kathryn has presented on Elder Law topics throughout the Lowcountry, including Senior Centers, churches, private organizations, and financial institutions.